Phillips Aquatics Center	The Minneapolis park system’s first indoor swimming facility features six-lane competitive and four-lane teaching pools. We offer youth swim lessons for various ages and skill levels. 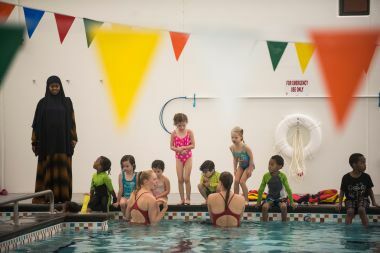 Parent Tot: A class for children ages 6 months to 4 years old, accompanied by a parent, and ready for fun in the water! Participates focus on water adjustment activities, acclimation, building a healthy relationship with water, and supported movements. Pre-Level 1: Pre-Level 1 is an introduction swimming lessons for 3 to 5 year olds. Water adjustment and skills involving movement in the water will be taught along with skills for basic forms of swimming and appropriate water safety skills. Level 1: Level 1 is designed for the non-swimmer ages 5 years and older. Participants orient themselves with the aquatics environment and create a strong foundation to aquatics and safety skills. Level 2: Level 2 is designed for students to expand on fundamental swimming and safety skills. Level 3: Level 3 is designed to increase swimming skills and practice non-swimming rescue skills. Level 4: Level 4 is designed to develop confidence in strokes and safety skills beyond the preceding levels. 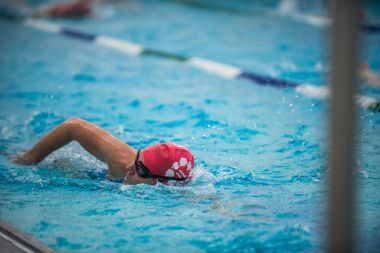 Adult Beginner: Adult beginner is an introduction to swimming for adult non-swimmers at North Commons water park. Water orientation and stroke skills involving movement in the water will be taught along with skills for basic swimming and water safety. Pool users are responsible for their personal items. The MPRB is not responsible for any lost or stolen items. Swim Lesson scholarships available for Minneapolis residents who qualify. 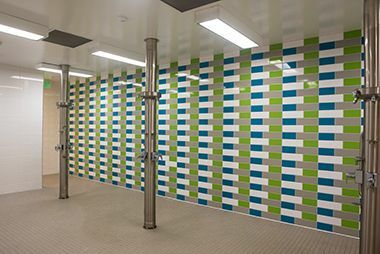 Phillips Aquatics Center serves as MPRB’s only indoor swimming facility: a “first” that follows the 2015 opening of the Webber Pool, the first natural-filtration pool in the U.S., located in North Minneapolis. 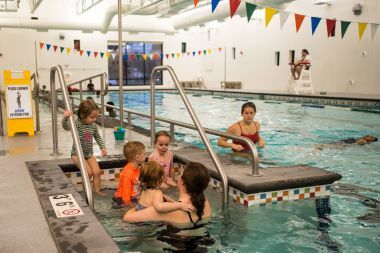 The aquatics center offers swim lessons for people of all ages and abilities, along with other, year-round programs and opportunities for recreational, fitness and competitive swimming. 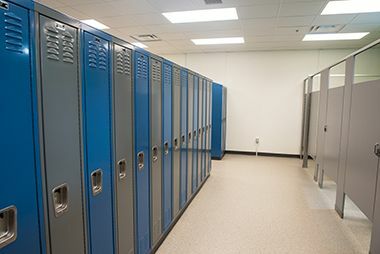 It was constructed in 2017-2018 as an expansion and renovation of the Phillips Community Center. 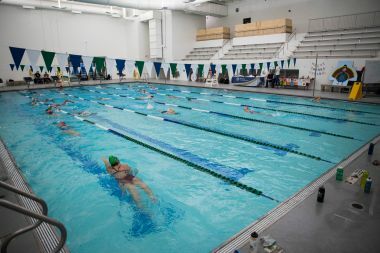 Phillips Aquatics Center was originally known as Phillips Pool and Gym. When it opened in 1987, it included what was then the city’s only community-accessible indoor pool. The MPRB had acquired both the pool and gym facilities from the school board when the surrounding junior high school was demolished. The Boys and Girls Club leased and operated Phillips Pool and Gym for 20 years, but the pool was closed when the club returned the building to the MPRB in 2008. 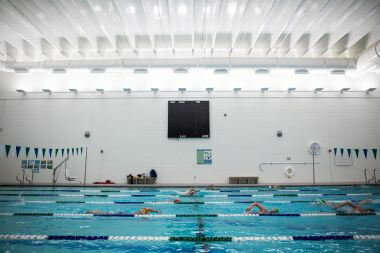 After a $1.6 million renovation in 2009, the building reopened as the Phillips Community Center, with leasing opportunities for community organizations. 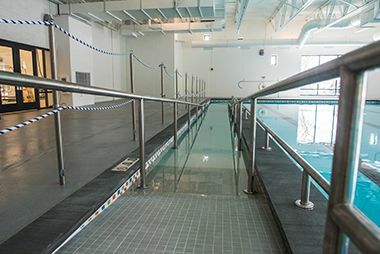 Discussions about renovating the pool, which took place among officials from state, city and county governments, the school and park boards and neighborhood organizations, progressed to the planning phase in 2015. 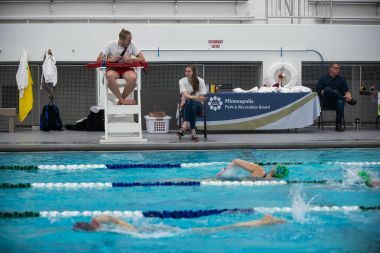 Funding to restore the existing pool and add a teaching pool came from numerous sources, including the MPRB, the State of Minnesota, Minneapolis Public Schools, and Hennepin County’s Youth Sports Grant program.